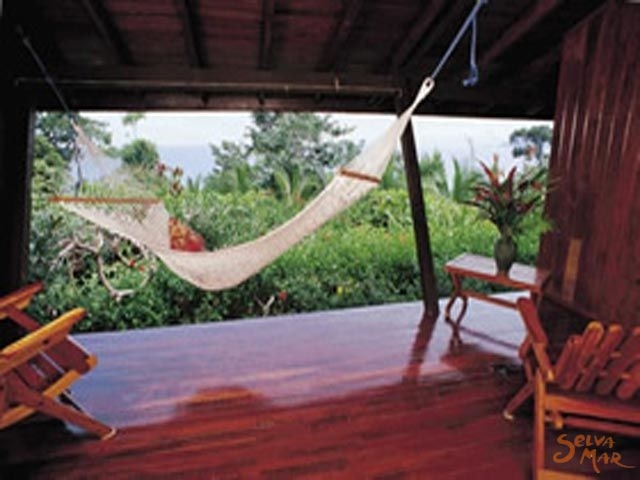 La Paloma Lodge nests atop a high bluff overlooking the Pacific Ocean and nearby Caño Island, in Costa Rica's isolated Drake Bay. 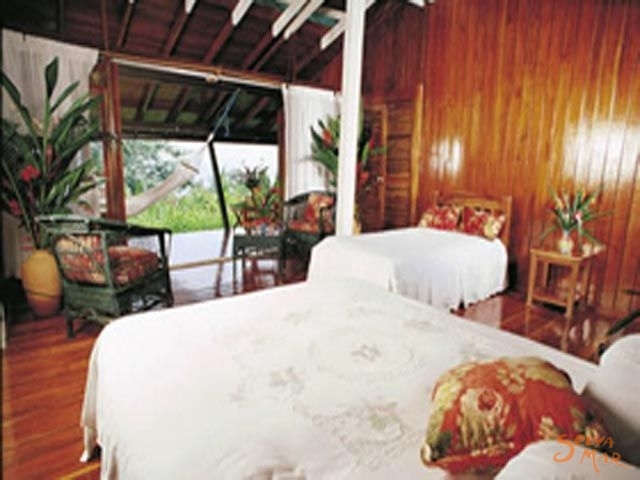 The resort is spread over 12 richly landscaped acres and surrounded by dense tropical rainforest. We have planted hundreds of plants and trees that are not only lovely to see but also attract a variety of birds and wildlife. Scarlet Macaws soar overhead, nesting nearby. Toucans can be heard calling each other from the depths of the rainforest. Hummingbirds feed on the brilliant heliconia. White faced monkeys lunch on ripe mangoes, and lizards bask in the sun. The sounds of the jungle surround you. All of the rooms and ranchos at La Paloma are furnished with queen and single orthopedic beds, hot water showers provided by solar heaters, and ceiling fans. Each also boasts an artistically tiled private bath, expansive balconies with hammocks, varnished hardwood floors and a breathtaking view of the Pacific. 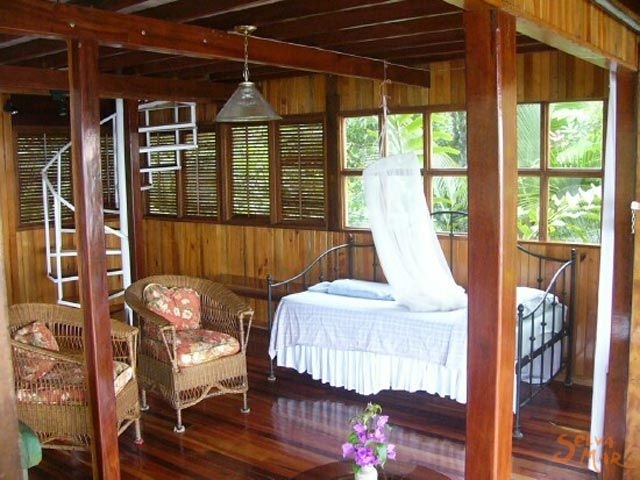 The ranchos are spacious structures that sleep up to six people comfortably. An evening at La Paloma is a great time to catch the sunset with sand between your toes. 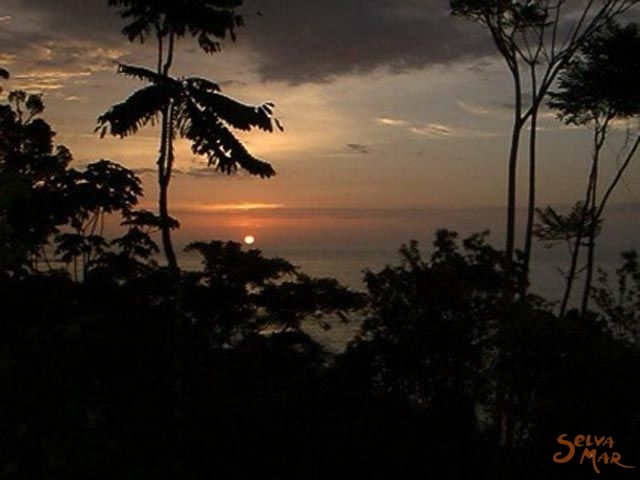 Includes: Round trip air and boat transportation San Jose / La Paloma, 3 nights, all meals, full day guided tour to Corcovado National Park, full day guided tour to Caño Island, park fees and taxes. All of the rooms and ranchos at La Paloma are furnished with queen and single orthopedic beds, hot water showers provided by solar and propane heaters, and ceiling fans. 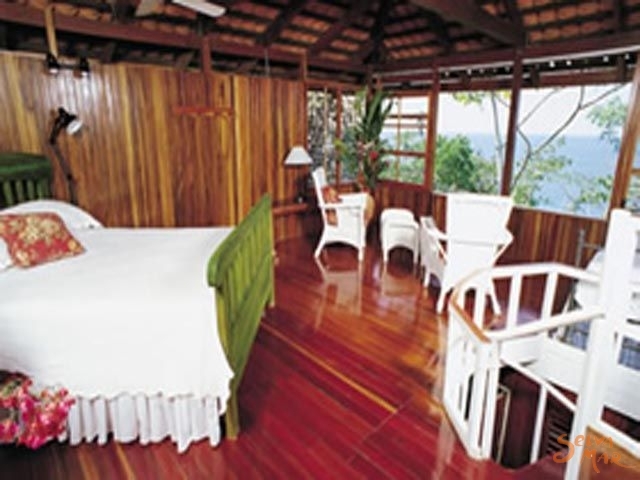 Each also boasts an artistically tiled private bath, expansive balconies with hammocks, varnished hardwood floors, and a breathtaking view of the Pacific.The Lodge faces west, the perfect direction to catch a magnificent sunset over Caño Island. We are fortunate to be graced with the prevailing westerly trade winds, cooling the Lodge and allowing for ideal sleeping conditions. 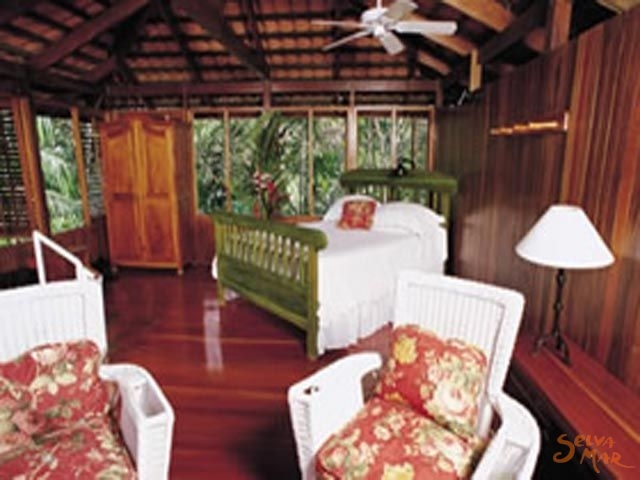 Our seven deluxe ranchos are spread out amongst lush vegetation maximizing privacy and seclusion. 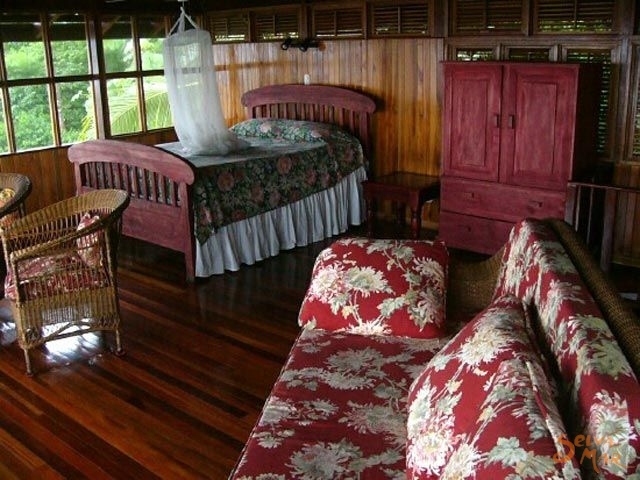 Each rancho is perched on points overlooking the vast Pacific; our open-air ranchos allow you to be lulled to sleep by the rhythm of the surf and awoken by the symphony of the rainforest. Most people only dream of visiting a tropical paradise. 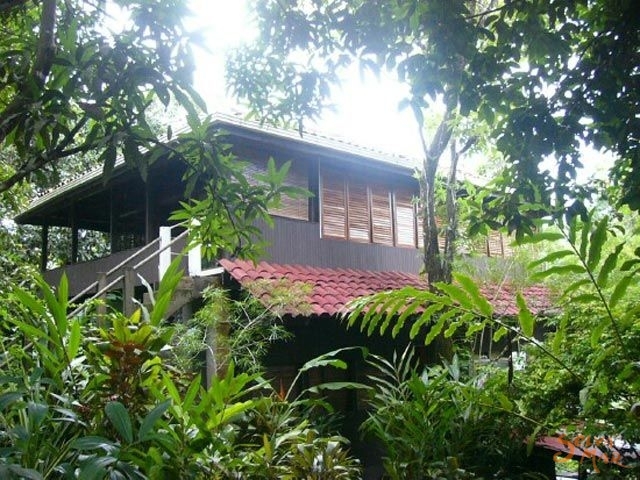 At La Paloma Lodge it's right outside your doorstep. The locals have enjoyed these beaches quietly for years; you’ll find no trace of McDonald’s here. An evening at La Paloma is a great time to catch the sunset with sand between your toes. 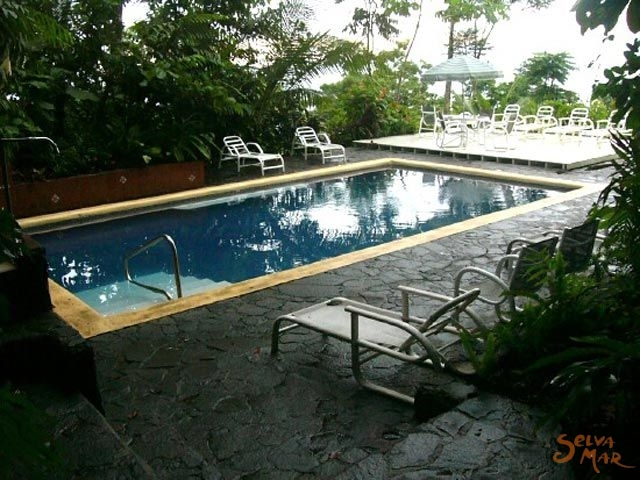 La Paloma Lodge is located in Drake Bay, Costa Rica.